There are four current Exposure Drafts that may be of interest to Alberta CPAs. Three, from the International Ethics Standards Board (IESBA), deal with ethics, and the fourth, from the Accounting Standards Board (AcSB), deals with not-for-profit standards. 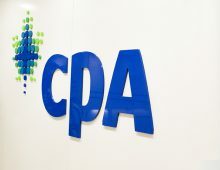 Alberta CPAs are encouraged to take the time to review the Exposure Drafts and provide comments in order to ensure feedback is taken into consideration. Comments for the first ED above are due May 25, and are due April 25 for the other two. approved three projects: Accounting Standards Improvements for Not-for-Profit Organizations (NFPOs), Contributions — Revenue Recognition and Related Matters, and Reporting Controlled and Related Entities by NFPOs. 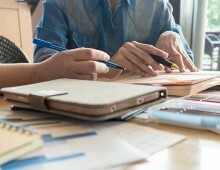 As a result of all this activity, the AcSB recently issued its Exposure Draft, “Accounting Standards Improvements for Not-for-Profit Organizations.” The proposals relate to tangible capital assets, intangible assets, works of art, historical treasures and similar items not part of a collection, and collections held by NFPOs. The Exposure Draft is open for comment until May 31, 2017. Comments, with specific reasons for the support or objection to the proposals, are especially important. As always, the AcSB will redeliberate the proposals in light of comments received. Part of the deliberation process includes consultations with its Not-for-Profit Advisory Committee. Get more information on this project and keep up to date on its developments via Accounting Standards Improvements for Not-for-Profit Organizations project page.